Furnish your home with a pretty new sofa and loveseat set from American Freight Furniture and Mattress. If your style is modern minimalist and you’re searching for comfort, you can’t go wrong with the Camino Chocolate Sofa and Loveseat. 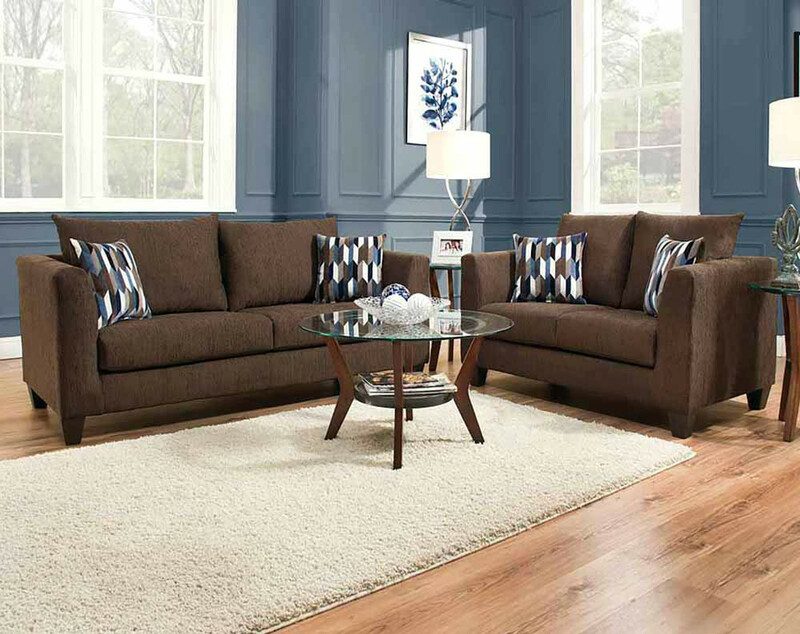 We love this sofa and loveseat combination because it’s trendy and affordable. Keep reading to learn more! Straight, Sleek Lines for the Win! Whether you live in an apartment or four bedroom home, you need a sofa set that meets all your needs and has style. 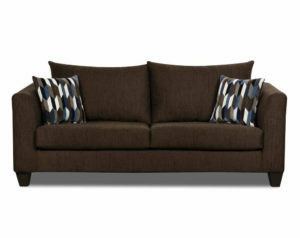 We highly recommend the Camino Chocolate Sofa and Loveseat because it’s the best of both worlds. This set features a compact frame with simple lines. If you don’t want your sofa and loveseat to take center stage in your living room, this set can be dressed up or down to your liking with a few throw pillows. The sofa and loveseat combo will match nearly any theme. The rich dark brown color is warm and inviting, and the material is soft to the touch. It’s easy to stage this couch set in different ways. Complete a living room seating area with the sofa and loveseat together, or separate the pieces in different rooms of your home. 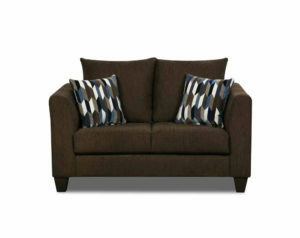 The loveseat makes a great oversized chair in a Master bedroom and we love to place the sofa in sunrooms or small dens. The Camino is super affordable! You can get TWO pieces of furniture for the price of one. At only $499, it’s hard to beat a furniture discount like this one. For more details on this brown sofa and loveseat, stop into an American Freight Furniture and Mattress to see it for yourself! Our helpful staff will answer any questions you may have. Are you browsing sofa and loveseat sets under $500? Luckily, the Camino Chocolate Sofa and Loveseat set is right in your budget. You can take home the two-piece sofa set for just $499. American Freight Furniture and Mattress offers free layaway. You could also choose same-day delivery for all in-stock items. If you’re interested in financing options, American First Finance can help you take home your new sofa and loveseat for $50. Click here to read more. 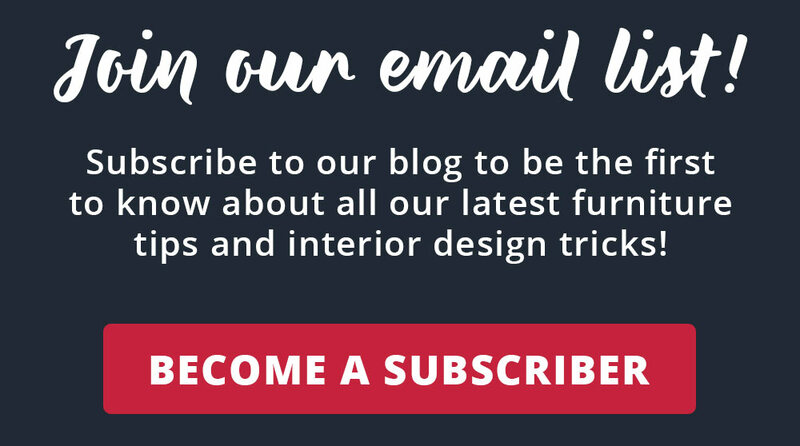 Visit an American Freight Furniture and Mattress near you to browse other brown couches or sofa and loveseat sets. We have a huge selection fit for any budget.